Richard Poling was born on September 26, 1946, at Ewa Villages, Hawaii. He was commissioned a 2d Lt in the U.S. Air Force through the Air Force ROTC program at Texas A&M University on May 23, 1969, and went on active duty beginning June 4, 1969. Lt Poling next completed Undergraduate Pilot Training and was awarded his pilot wings at Randolph AFB, Texas, in August 1970, and then served as a KC-135 Stratotanker pilot with the 917th Air Refueling Squadron at Dyess AFB, Texas, from August 1970 to May 1972. He then deployed to Southeast Asia where he served as an OV-10 Bronco forward air controller with the 20th Tactical Air Support Squadron at Da Nang Airfield, South Vietnam, from May 1972 to March 1973. Capt Poling next served as a KC-135 pilot with the 71st Air Refueling Squadron, as a T-39 Sabreliner pilot, on the staff of the 2nd Bomb Wing, and on the staff of Headquarters 8th Air Force at Barksdale AFB, Louisiana, from March 1973 to June 1976. His next assignment was as Assistant Deputy Chief of the Executive Services Division, Aide to the Vice Chief of Staff of the Air Force, and then as Aide to the Chief of Staff of the Air Force at the Pentagon from July 1976 to July 1979. 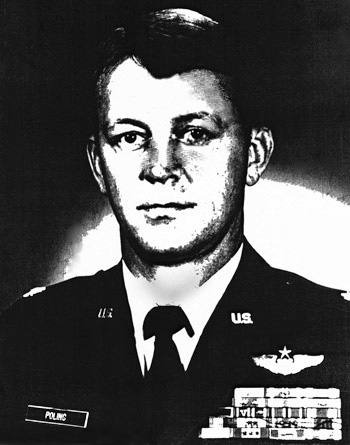 Col Poling served as an instructor pilot and as an instructor in the instructor pilot school at Sheppard AFB, Texas, from July 1979 to June 1983. His final assignment was as Chief of the Ground/Explosives Safety Division, Safety Directorate, Office of the Inspector General with Headquarters Air Training Command at Randolph AFB, Texas, from June 1983 until his retirement from the Air Force on June 1, 1989. 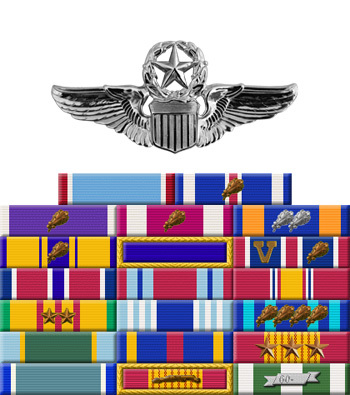 The President of the United States of America, authorized by Section 8742, Title 10, United States Code, awards the Air Force Cross to Captain Richard L. Poling for extraordinary heroism in military operations against an opposing armed force as a Forward Air Controller at Mo Duc, Republic of Vietnam, on 16 and 17 September 1972. On that night, Captain Poling flew two sorties in his lightly armed OV-10 reconnaissance aircraft in monsoon weather conditions to support a small allied unit undergoing heavy ground assault by a hostile force twenty times its size. Using every means available, naval and ground artillery, tactical air support, and finally his own light internal ordnance, Captain Poling, in desperation, disregarding extremely intense and accurate antiaircraft fire, made repeated devastating low level attacks which stopped the hostile advance short of the friendly perimeter. Credited with two hundred and sixty-five confirmed hostile personnel killed, and twenty mortars and guns destroyed before his heavily battle-damaged aircraft was finally shot down, Captain Poling's achievements were recognized by the Ground Commander as having personally saved his position and the lives of one hundred and twenty defenders. Through his extraordinary heroism, superb airmanship, and aggressiveness in the face of the enemy, Captain Poling reflected the highest credit upon himself and the United States Air Force.